Whether you’ve recently realized you’re an empath or you’ve known a long time, this guide is everything you’ll ever need to know about being an empath.  It covers what it is, the traits we all share, what to expect, where science is currently at, how it’s going to impact your life, the benefits and the downsides, some of the problems you may encounter, some basic strategies you’ll need to implement, and where to go for empath support. Like I said… everything. An empath is a person who can feel the emotions of other people. They’re endowed with an almost extra-sensory sensitivity level that most other people don’t have. Empaths filter the world through this faculty and always look a level beyond what most other people see. They can sense the motivations and energies behind what people are saying and doing. They tend to have a hard time with people who are fake or lie because they can sense it. You Are Highly Sensitive. You’re spiritually, emotionally and physically sensitive to a level that others just don’t understand (or share). You’re especially sensitive to your environment–physical space and people. You can’t watch graphic depictions of violence or abuse towards humans or animals on TV and you probably can’t comprehend why others can so easily. Or 2) melt into a puddle because you can’t handle it. If you personally find yourself expressing even remotely harsh words, you’ll feel momentarily justified because no doubt it was in self-defense, but then you’ll resent yourself to a masochistic level for about a year for doing so anyway. You Feel The Emotions of Others. Being so sensitive means you can easily sense and feel the emotional states of others. This can extends to physical pain, but for most empaths, it just makes being in crowds extra exhausting. Because we feel the emotions of others, we often unconsciously, take them on and make them our own. We do this to be in solidarity and to help ease the pain. But this is often at the expense of our own emotional health and can lead to our lives being emotional rollercoasters. Strong Intuition. You have an inner knowing that you just inherently trust, because most of the time, it’s right. You don’t feel the need to intellectualize anything–you rely on your intuition to navigate the world successfully. Always Fighting for the Underdog. You can’t help it. Even if the underdog is a total douche, you always fight for them. In your mind, the persecuted can do no wrong. You want to help give a voice to the voiceless and you always stand up for those that are suffering. If someone is being bullied or is in emotional pain, you’ll have infinite compassion for them. You’re A Great Listener. People find it easy to talk to you and they’ll tell you their deepest, most tender-hearted secrets very quickly. They’ll also offload their problems to you and, like a sponge, you’ll soak up a lot of their emotional troubles that you’ll then probably not know what to do with. You’re Drawn to Healing/Helping Work. Because you are such a good listener, and you’re so sensitive, and you know what’s going on with people on a deeper level, you have a natural ability for healing/helping work. You Find Routine Unappealing. You’re a free spirit. You’re as serious about freedom as Mel Gibson in Braveheart. You dislike routine and anyone telling you what to do. You like to live in the moment and feel into what you want, moment-to-moment. Anything that takes away your freedom can feel crippling and impossible to sustain. Everything Feels Personal: Because you’re so sensitive and because you feel the emotions of others to a point where they become your own, everything feels personal to you and this means it’s very easy for you to take things personally. If you read through the traits above and seven or more of them are true for you, then you’re definitely an empath. If any of them are true for you, you probably have empathic tendencies. Either way, being an empath is going to be already having varying degrees of impact on your life. How Will Being An Empath Impact The Basic Tenets Of My Life? You’ll need to ask yourself that question and journal on it because it’s going to affect different people in different ways. But if you’ve never done any personal growth work, I imagine there’s probably a lot that’s off balance in your life–your career might be stagnant, your relationships messy and money is probably not flowing easily towards you. This is the case for most empaths before they start to build awareness and grow into their gift in a strong and powerful way. Money. Money is a physical manifestation of an energetic exchange that happens in the universe. If money is not naturally flowing in your direction, there are many good reasons why. But it’s worth looking at it symbolically–usually, when money is not easily flowing towards empaths, it’s because they aren’t taking care of themselves on a metaphysical level. They are either giving too much, or they don’t feel like they deserve it. We tend to take care of others before we take care of ourselves, and this inevitably leads to a deficiency in our own lives. But as you start to implement some strategies that force you to take care of yourself, your financial situation will change. Career/Life’s Work. Oftentimes the career or life’s work of empaths is a convoluted area. We can’t do things we don’t like doing. It feels like it’s destroying our soul. This is limiting because the reality is, at some point in our lives most of us have to do these things in order to get somewhere new. As we start to bring clarity to this space in our lives, we take baby steps towards creating the career or life’s work that’s in alignment with our soul. Relationships. Messy relationships are a common thread for most empaths. This can be due to the empath/narcissist attraction, our lack of boundaries or taking on other’s feelings. It can also be due to projection or just general confusion around when our needs should matter (hint: always). But don’t worry, with a few tweaks your relationships can transform into sources of clarity, strength, and power. What Are The Benefits Of Being An Empath? Deep Human Connection: You are genuinely compassionate and people are inherently attracted to that. This means deep human connection–the most important factor in living a long and happy life–comes easily to you. People willingly bare their most tender-hearted thoughts and feelings to you, and this, in turn, fuels your soul. Knowing What Others Don’t: Your sense of knowing is unrivaled by any other means of ‘knowing’ available–it is powerful. You often find you just ‘know’ things without explanation. You can see through lies of people, straight to their truth and you have a good sense for people in general (aside from the empath/narcissist attraction). However, sometimes your true knowing is clouded by your personality filter on events and that’s why it’s important to build your own self-awareness. What Problems Will I Encounter Being An Empath? Coping With Overloaded Emotions and the Emotional Rollercoaster. One of the biggest problems you’ll probably encounter being an empath is learning how to cope with the emotional rollercoaster. If left unchecked and continually bottled up, this will result in anxiety, depression, chronic fatigue and panic attacks. But never fear, you can also learn how to ground yourself so that you don’t become overloaded. Easily Influenced By The World/Lack of Personal Power. If you remain unconscious of your high sensitivity, you’ll constantly be influenced by the state of the world. You will unconsciously take on the moods and emotional states of the people you encounter. This might be friends and family, but it can go deep enough to include the grocery store. This all comes from operating as a sponge without a strong and grounded core. And, it comes from a lack of knowledge of your inherent power as a human being. Projection. Sometimes we confuse empathy with projection. Our inner GPS is thrown off by the emotions we’ve absorbed from others and our own emotional state. Often, we don’t even know this is happening, but instead of empathizing, we’ll actually project our own emotional state onto the person’s experience. There are plenty of incredible things about being an empath. These can be made even better if you implement some basic strategies into your life. If you’ve never done any work around being an empath, you’ll need to build a lot of self-awareness, learn to self-regulate your own emotions and ground and clear yourself each day. Build Self-Awareness. The first thing you’ll need to do is ask yourself is what’s working and what’s not about your life. Empaths tend to imagine that just because things are a certain way they must stay that way forever. But, this isn’t true. Being an empath doesn’t mean you have to be confused, exhausted and broke all the time. It doesn’t have to be either/or. You can have the depth of human connection AND still take care of yourself. You can have an incredible sense of knowing AND have clear, powerful, fulfilling relationships. The first step is to spend some time building awareness about how your empathy is impacting your life. Start with the three areas listed above–money, career, and relationships. Take Accountability For Your Life. The fastest way to change the things you don’t like about your life is to take full accountability for it. It does not mean they are your fault, it just means you are now taking responsibility for them–because that’s what you need to do in order to change them. Because we’re so impacted by the world around us, it’s easy to forget we’re actually the captain of our ships. While barriers exist that we can’t change, the first step to changing anything about our lives is always to take responsibility for it. But instead of feeling overwhelmed and shutting down because of all the suffering in the world, we can consciously choose where to direct our resources and have a great impact on a small subsection of the world. Feel free to leave your questions, comments, any additional information and thoughts below. I’d love to hear from you! * copied from Eggshell Therapy’s “Being Hyper Empathic.” You can find the original post here. I am an empath, and as I’ve got older I am learning (with the help of articles such as this) to make it a positive and powerful force. The most important thing for me is self-care and constant re- grounding as these are what enable me to keep it a positive and powerful force, which means everyone (myself included) can reap the blessing of it more, rather than feel the curse of it. And yes, I have lots of alone-time to recharge and reground; but I wouldn’t have it any other way now. So good to read this article, thank you. You’re welcome Hannah and I’m so glad to hear it was helpful and that you’ve found a way to turn your empathy into a blessing!